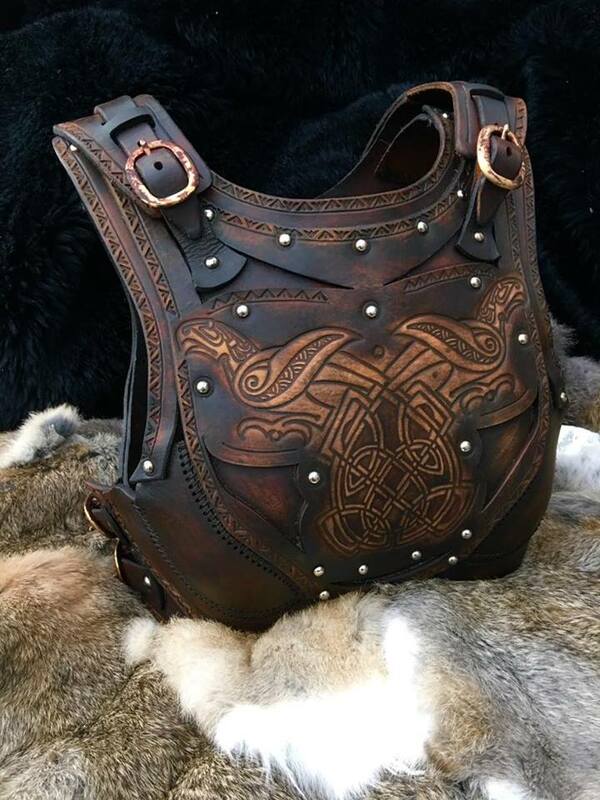 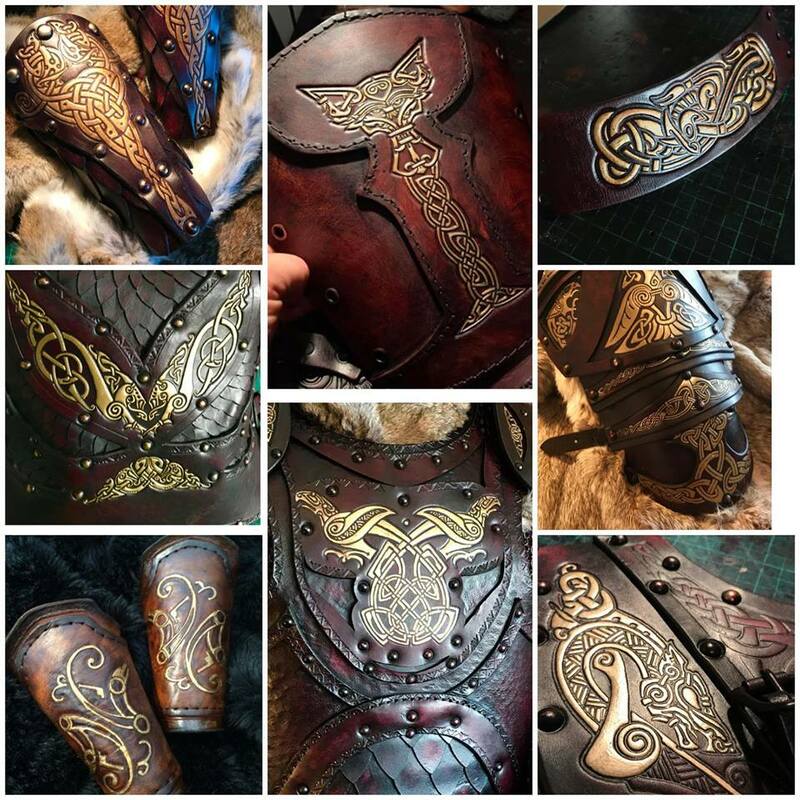 All of our SCA leather armours are a minimum of 6.5mm thick hardened vegetable tanned leather. 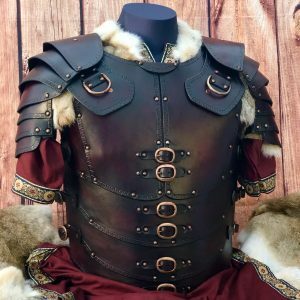 This ladies armour comes in two parts, to be worn as separates. 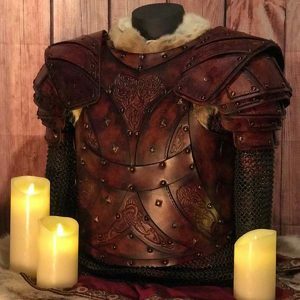 However should you wish for them to be joined offering additional protection and closure of the body, please request when placing your order. 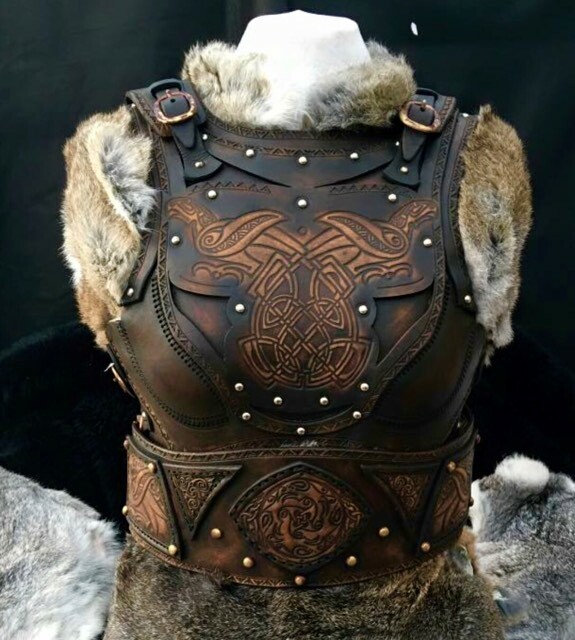 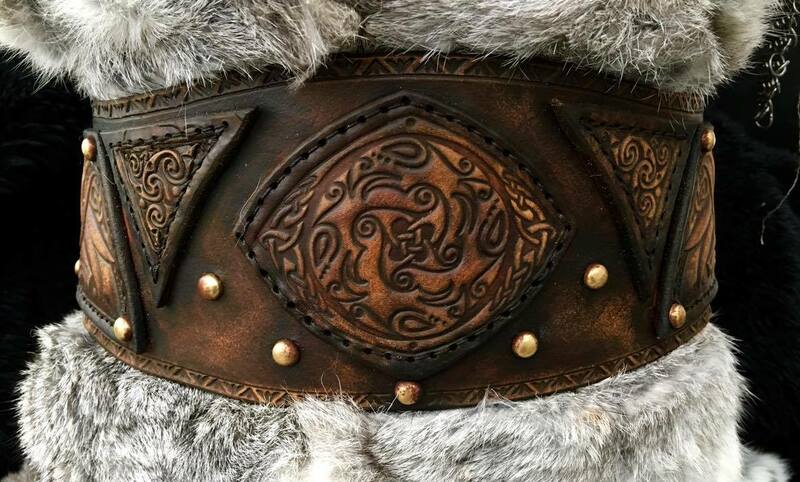 The Clan Chief SCA Leather Armour Body and Belt is formed to a practical shape suitable for combat comfort.